Fall 2018 Participants! We hope you enjoyed visiting with these businesses during our 2018 event and will join us again when we have our 2019 event! 8 working fine-art studios. Contemporary, fresh, bold abstract color. Large and small paintings, landscapes, floral, trees, encaustic, photography, assemblage, design, adornments, jewelry, "Industrial Quilts", mixed media, watercolor on wood, pyrography on wood and paper, sculptural pottery, upcycled metal garden sculpture, prints, cards, illustration, "Galaxy Girl" magnets, wood-burned ornaments. Our studios fill a space that is 100 feet long! So much to enjoy. Come visit a working jewelry studio, retail gallery area and My Learning Center. Classes are offered days, evening and on weekends. Not only will my work be for sale, our gem stone collection will be available for purchase, or for custom design. Ever wonder how stones are cut and polished, plan your visit to arrive 15 minutes before the hour. Tours will be given each hour on the hour. Explore the Seacoast other than just the beaches, Visit and shop local today! Enna Chocolate is one of a handful of bean-to-bar chocolate makers located in New England. Our chocolate is crafted entirely by hand in micro batches using ethically sourced cacao and other fine ingredients. Most bars are made with only two ingredients: organic roasted cacao, and organic cane sugar. Visitors may sample chocolate from different geographic origins and see how chocolate is made from bean to bar. Products for sale include a variety of handcrafted fine chocolate bars and more. I am a needle felter, fairy house maker and vintage /antiques collector. The Farmhouse studio is not normally open to the public. My space is divided into workshop and display. At Open doors I plan to demonstrate my felted pins,mini teddy bears, dragons and more. 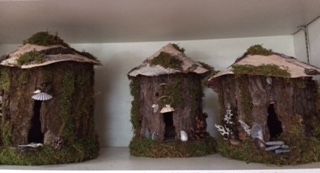 I will be making my fairy houses out of gathered natural material from our 18 acre farm. The wood stove will be going and the cookies will be fresh! 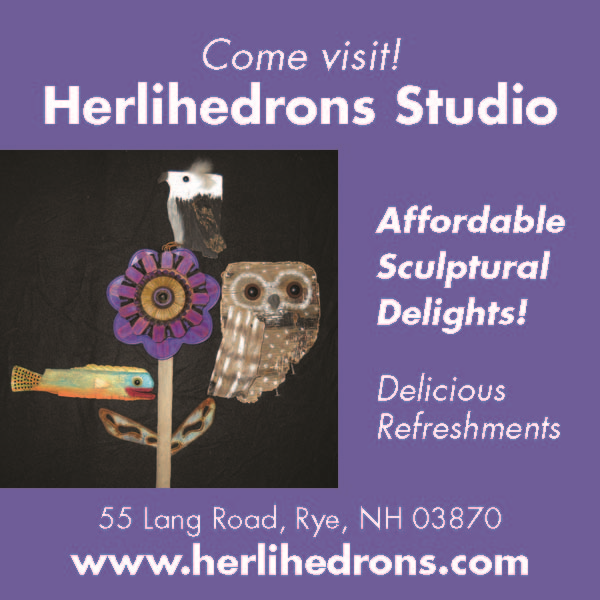 Stop in and visit! Fun, fascinating, delightful and affordable wall and standing Wood Assemblage Sculptures. 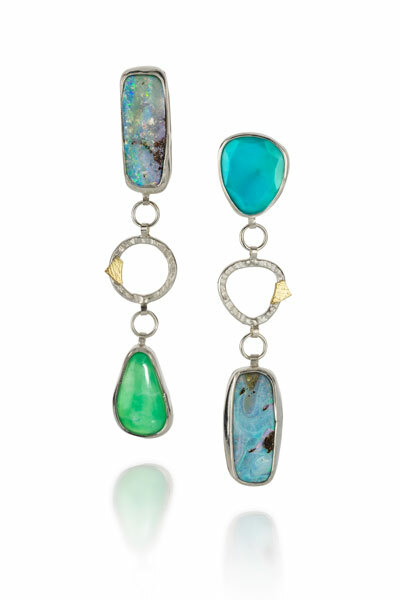 Each piece includes includes interesting found and natural objects as well as colorful paint. Owls, Fish, Whales, Mermaids, Birds, Dogs, Cats, Flowers, Santas, Angels, Humans and one of a kind surprises. Whimsy and delight await you! Many new pieces this year. Visit this charming antique farmhouse studio, sip cider by the roaring fire and enjoy home baked goodies! Lots to see and buy! > Herlihedrons is happy to be participating in this wonderful event for the 8th year! Look forward to seeing old friends and meeting new ones alike! Join me on the historic String Bridge in downtown Exeter! All stoneware pottery is hand thrown and glazed in iridescent greens, dynamic cobalt blues and golds, sparkling burgundies & stunning blacks. 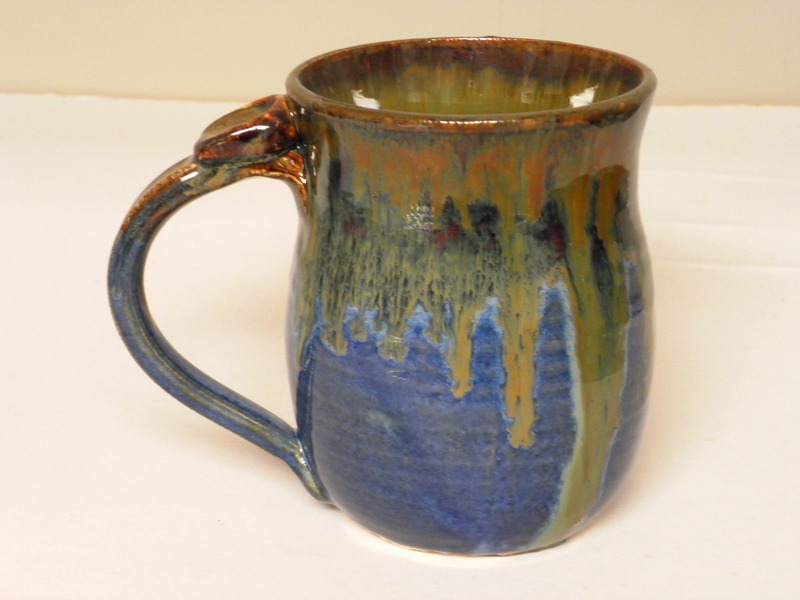 All pottery is affordably priced to be used every day! Look for these treasures: mugs, bowls, tiny vases, serving bowls, garlic keepers, pet bowls, wine coasters & coolers, planters, hanging vases, plus discounted gems too! I will also be taking custom orders that will be ready by the holidays. 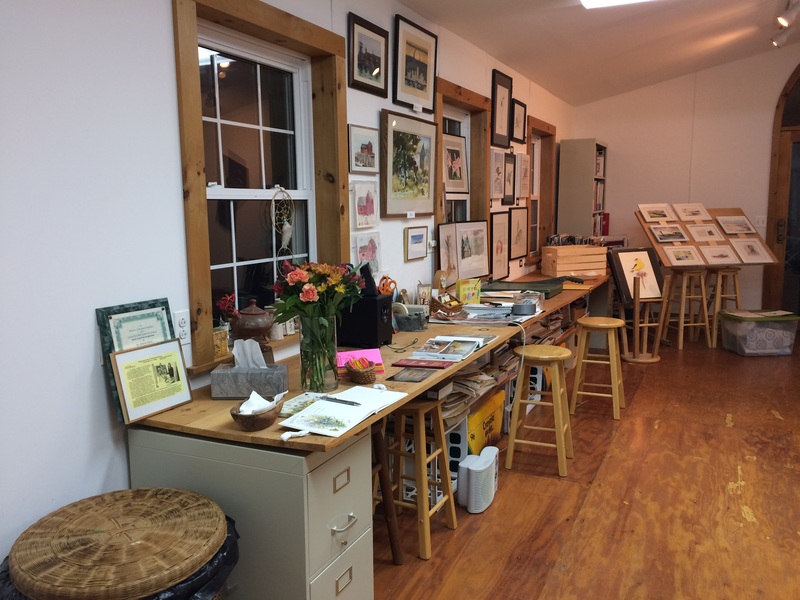 Pickpocket Arts offers art classes for students age 10 to adult in Drawing, Painting and Printmaking in a lovely scenic road location. Surrounded by gardens and equestrian paddocks Bonnie Porter’s bright and airy three season studio provides inspiration for summer and homeschool students. An arts educator and practicing artist for over thirty years, her own watercolors and prints are also available for purchase. 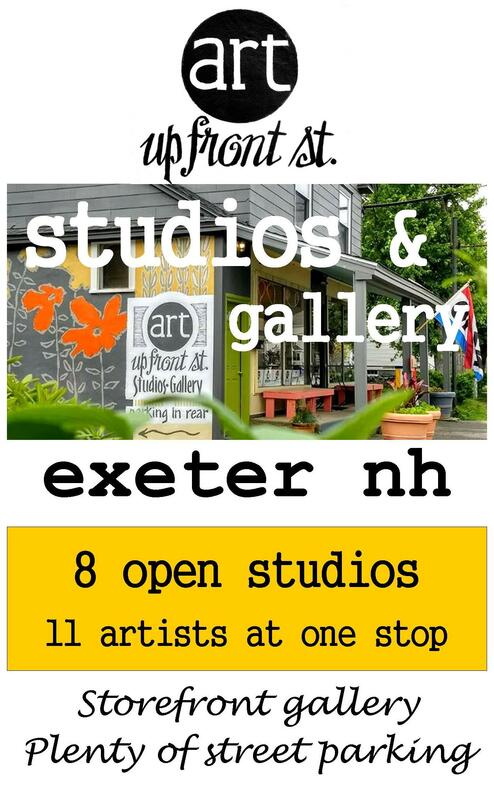 SAA is a 501C3 non-profit organization encouraging artists and art supporters of the seacoast for 40+ years. Our gallery displays works of a core of committed artists, as well as offering Featured Artist and Theme Show Challenge walls open to members and non-members. We also house a shop area for 4 artisans. 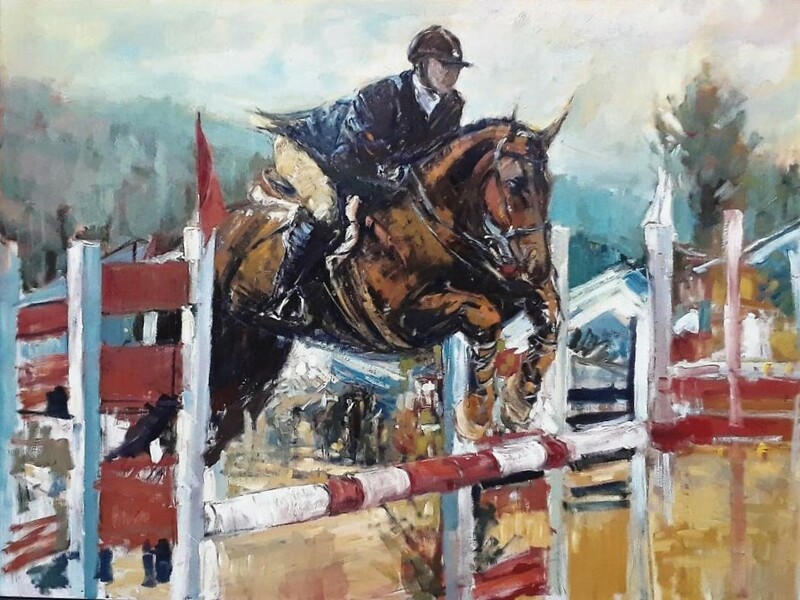 Throughout NHOD weekend there will be a Members Awards Show, numerous small works priced for giving, and artists offering demos, hands on fun, and their passion for art. Snacks too! We are a new, handmade, local maker gift shop featuring the talents of at least 9 artisans with many eco-friendly and environmentally conscious products. We are located in an area rich with farms and rustic charm. 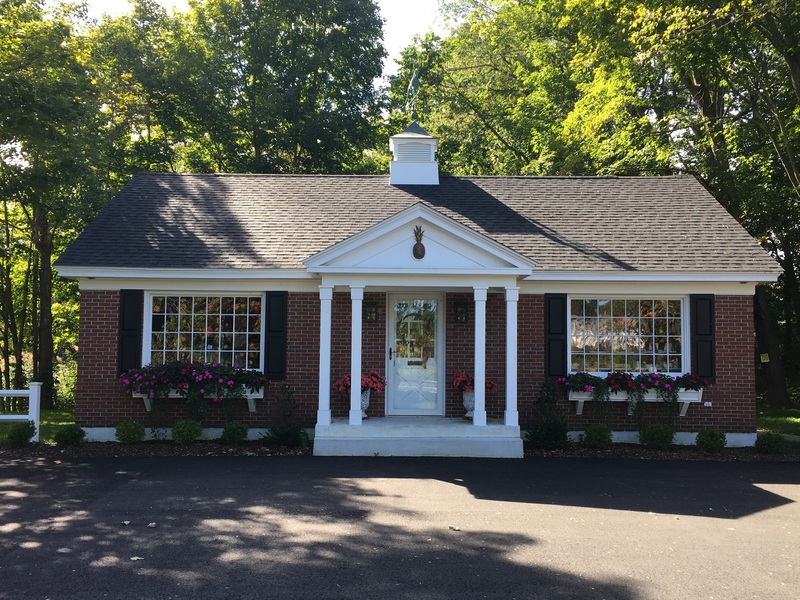 Our building is a restored and renovated Post Office with off street parking and handicap accessibility. TEAM is a homegrown arts, music and cultural non-profit initiative dedicated to the production, promotion and organization of original programming, projects and events in the Exeter area. Foundation Art Space, TEAM's community gallery, will be hosting local artists, Marissa Vitolo, Sharon Marston, and Davis Moore. 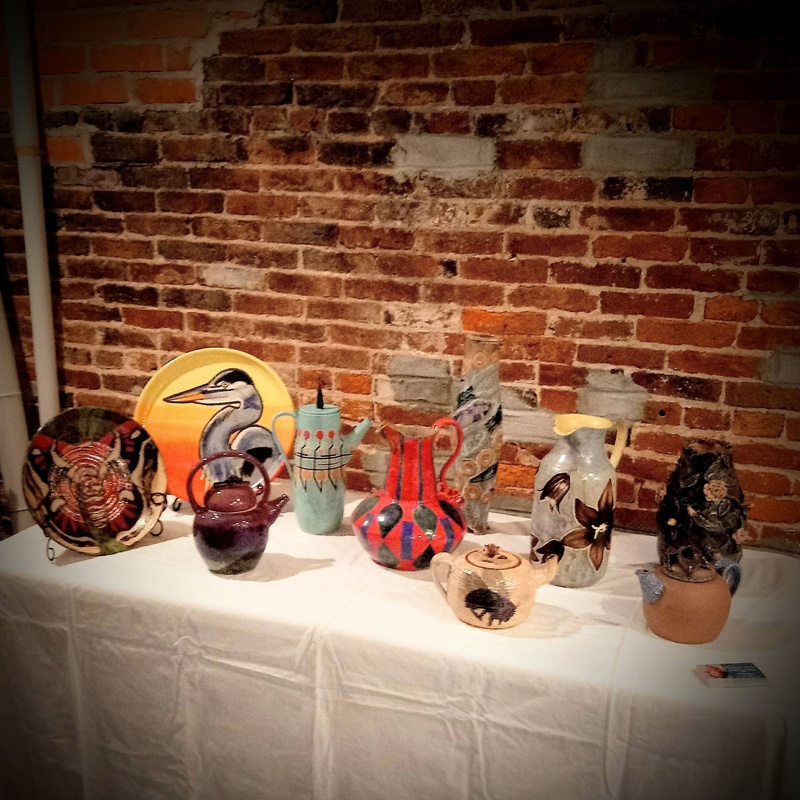 Come shop stoneware ceramics, fused glass jewelry, paintings, and more. Encaustic Art on Wood, Stone & Paper. Free art raffles on both days. Stop in and smell the sweet steam. We will have our evaporator boiling during the weekend with a little maple syrup added for some smells of spring in the fall. We will have maple syrup and honey along with our maple confections to satisfy that maple craving. We will have some syrup to sample and light refreshments as well. 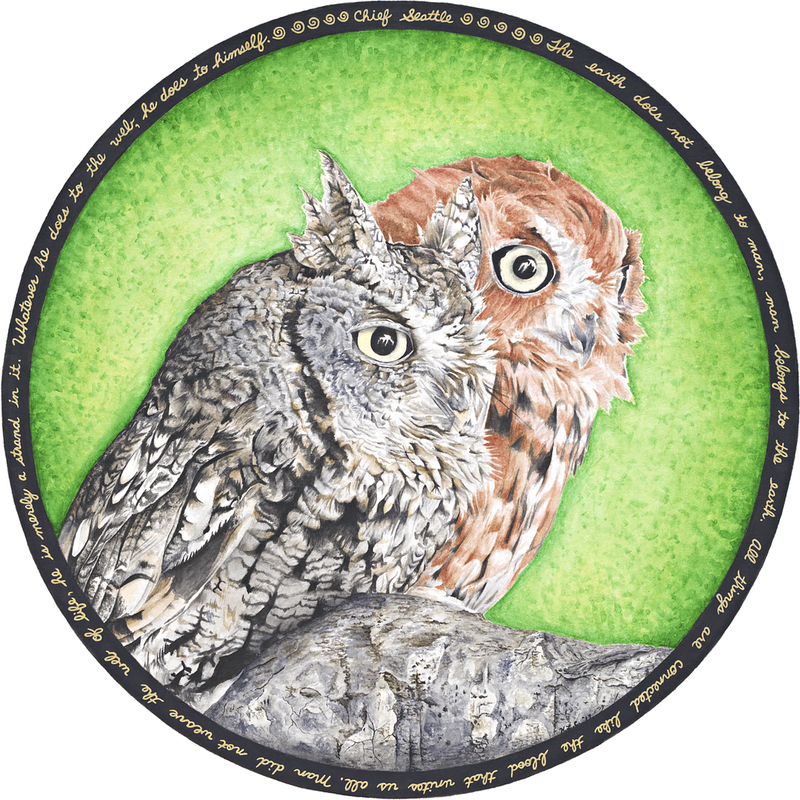 Original photorealistic mandalas & traditional watercolors with nature, yoga and Eastern philosophy themes. Original watercolor & acrylic ecoprints created by using leaves and flowers. Limited edition giclée prints, hand painted sacred stones, cards. Come visit our unique yurt studio on our working farm for live painting demo's & stop by our sugarhouse for some local maple syrup while you're here. Art raffle entry with every purchase. "Art exploring the beauty and mystery of nature and spirit."